Walking is one of the primary ways that we move through our environment. As a result of development and experience, we gain the ability to seamlessly transition between different walking surface such as pavement, soft sand, or icy sidewalks. Learning to switch between these types of environments requires the nervous system to adapt the sensorimotor calibrations used for one context to produce the appropriate motor commands for another. This process of sensorimotor adaptation is critical for normal behavior and may also underlie the processes by which the body adapts to damage of central or peripheral motor structures. While walking is a complex, whole-body task, some underlying factors clearly govern our choice of gait. This choice may arise from a combination of previous habits and attempts to reduce the costs associated with multiple metrics (e.g. effort, stability, aesthetics, or fear of falling). For example, metabolic cost plays a role in determining many aspects of an individual’s preferred gait, such as preferred stride length, step width, and vertical body motion. In addition to the cost associated with energy expenditure, costs related to balance or fall risk are also likely to have a marked influence on the gait an individual selects. We are particularly interested in understanding how humans balance trade-offs between energetic cost and stability when adapting to imposed asymmetries. One way in which we accomplish this objective is by using a dual-belt treadmill adaptation paradigm to impose asymmetries in the walking environment. When healthy individuals are exposed to walking on a dual-belt treadmill where one belt moves faster than the other, they initially walk with steps of unequal length, but gradually adapt their walking pattern to take steps of equal length. 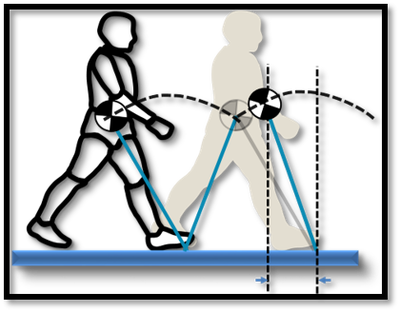 However, the question of why symmetric step lengths are preferred when walking in an asymmetric environment remains unanswered. 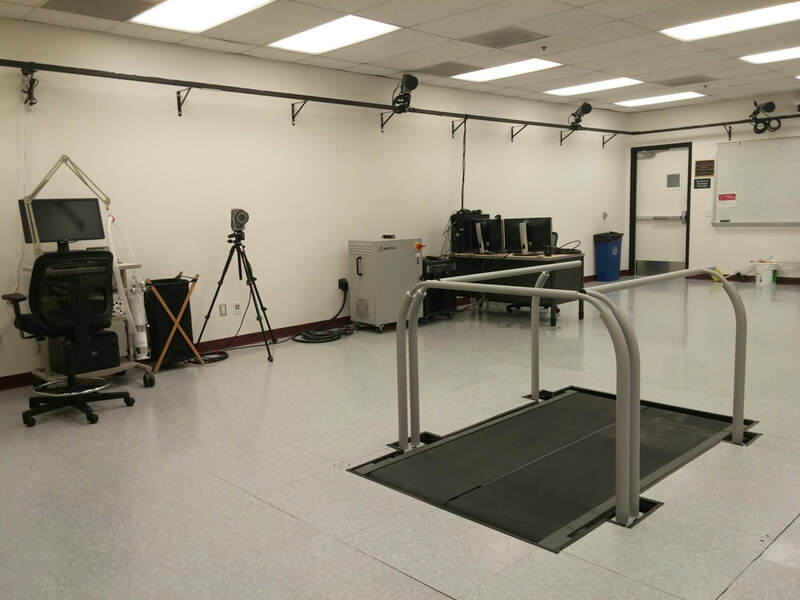 Our studies in this area utilize a combination of behavioral experiments, physiological measurements, and neuromechanical modeling to understand how energetic cost and stability impact sensorimotor recalibration during human locomotion.